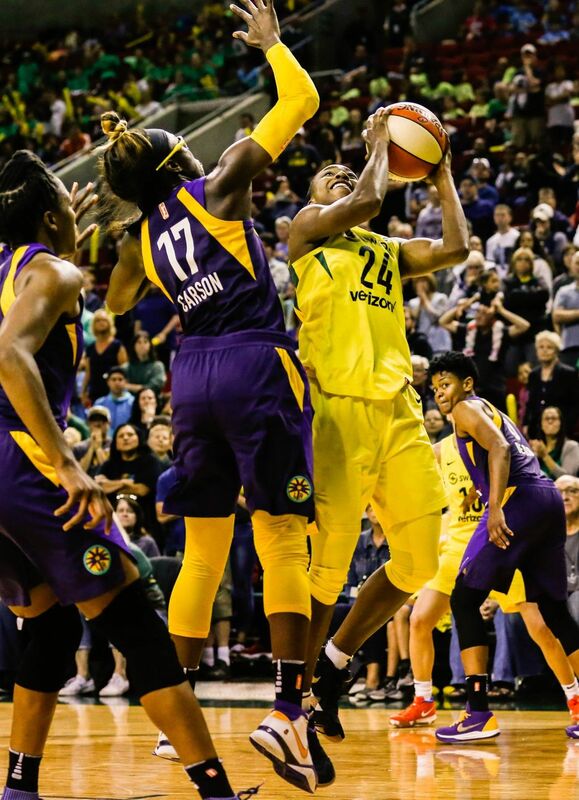 Four Storm players scored in double-digits, but the Storm couldn't capitalize at the very end, and they fall 77-75 to the Los Angeles Sparks. 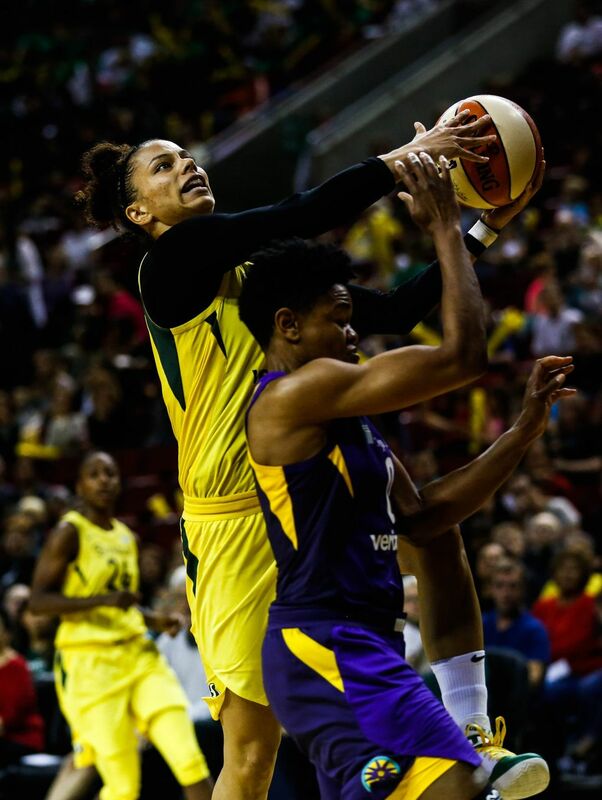 In a back-and-forth overtime duel between the Seattle Storm and the Los Angeles Sparks that lasted until the game’s final seconds, it was the Sparks who got the final word at KeyArena. 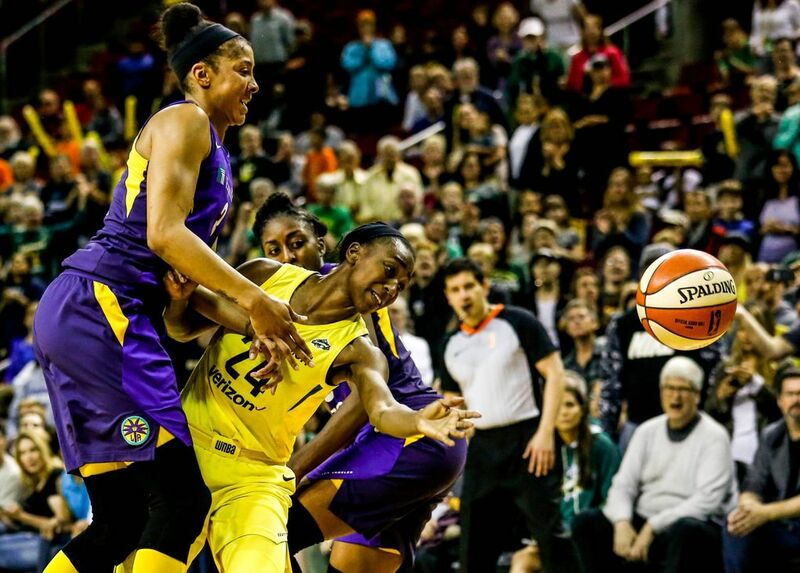 Facing a two-point deficit with 13.7 seconds left in overtime, the Storm couldn’t sink any of its three shots during the game’s final possession that would have forced a second overtime. 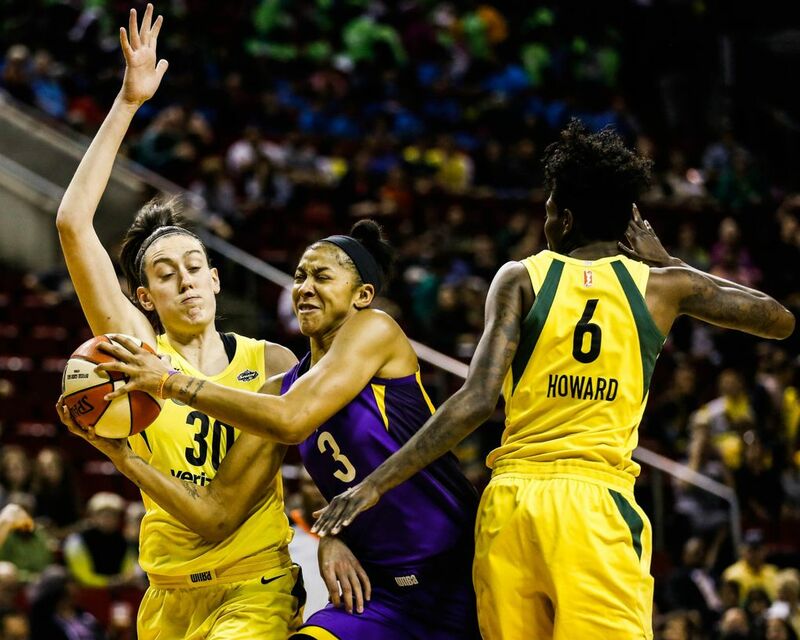 The buzzer sounded as Breanna Stewart misfired a close-range attempt, and the Sparks eked by with a 77-75 victory Tuesday. 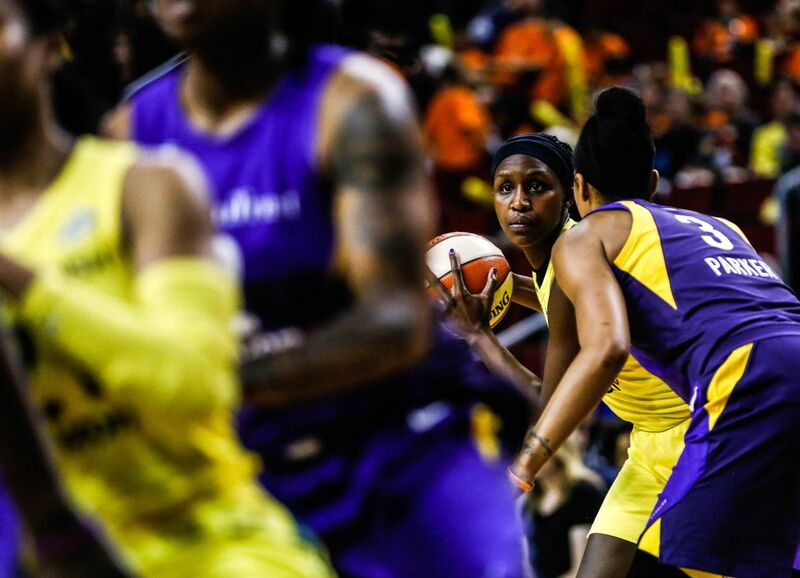 The victory gave the Sparks their first win in four games and ensured they would not be swept in the regular season by the resurgent Storm. 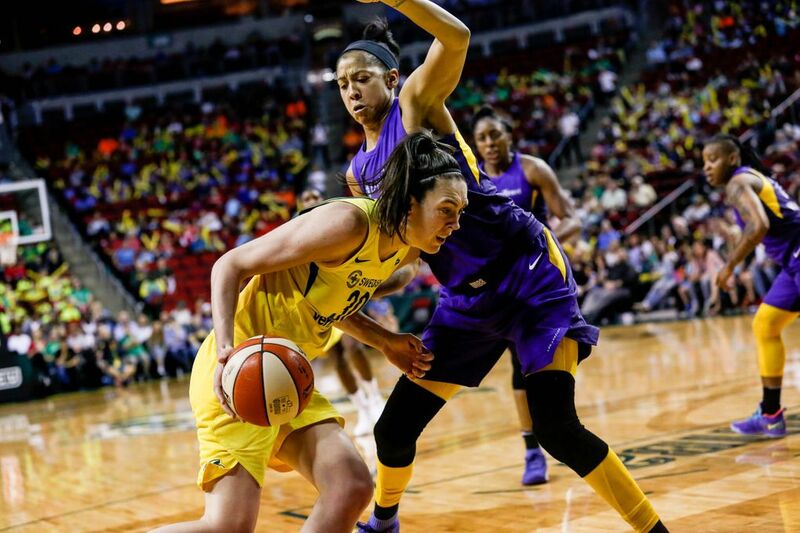 With the defeat, the Storm snapped its five-game winning streak and fell to 15-6, but will remain atop the WNBA standings. 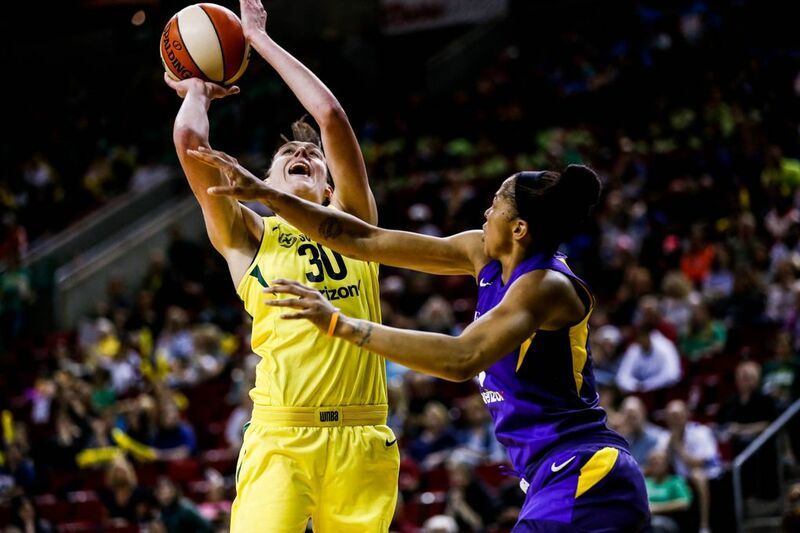 The Storm managed to hang with the Sparks despite committing a season-high 21 turnovers, nine of which came in the first quarter alone. 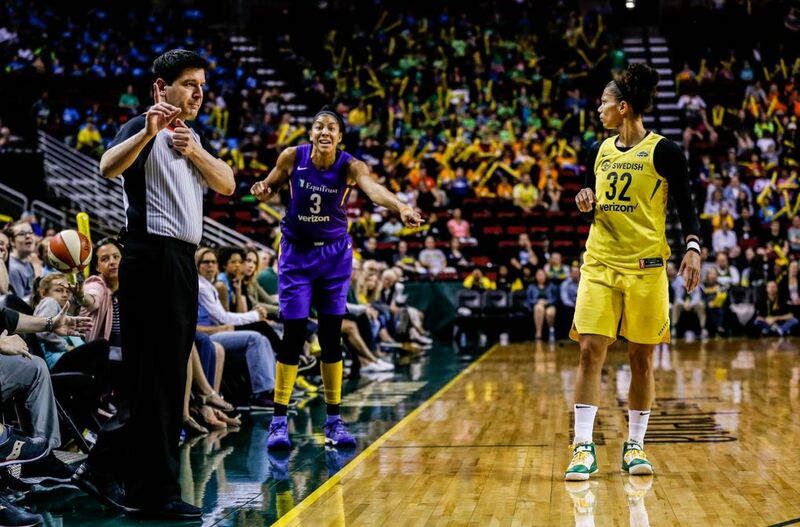 The performance was uncharacteristic of the Storm, which averages 13.4 turnovers a game. 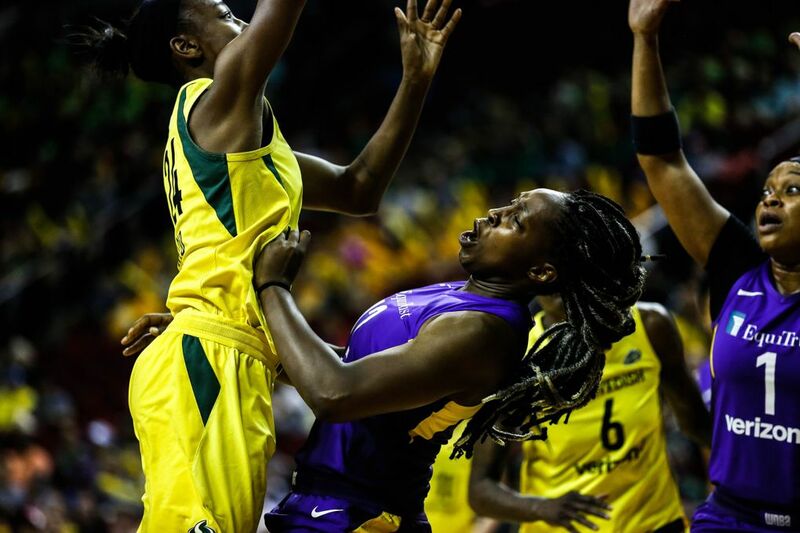 Yet the Sparks boast one of the league’s deadliest defenses and force an average of 15.9 turnovers a game. Los Angeles scored two-thirds of its first-quarter points off Storm turnovers. 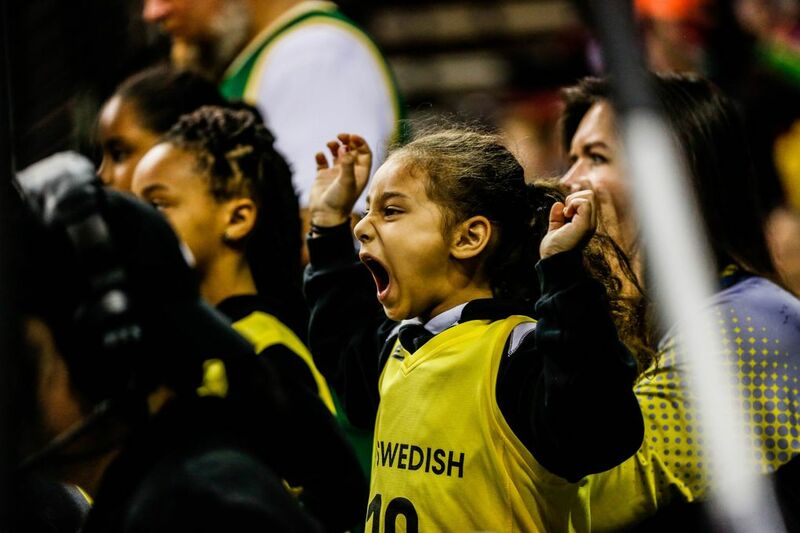 Seattle cleaned up its act, not allowing any points off its five second-quarter turnovers and only committing one third-quarter turnover. 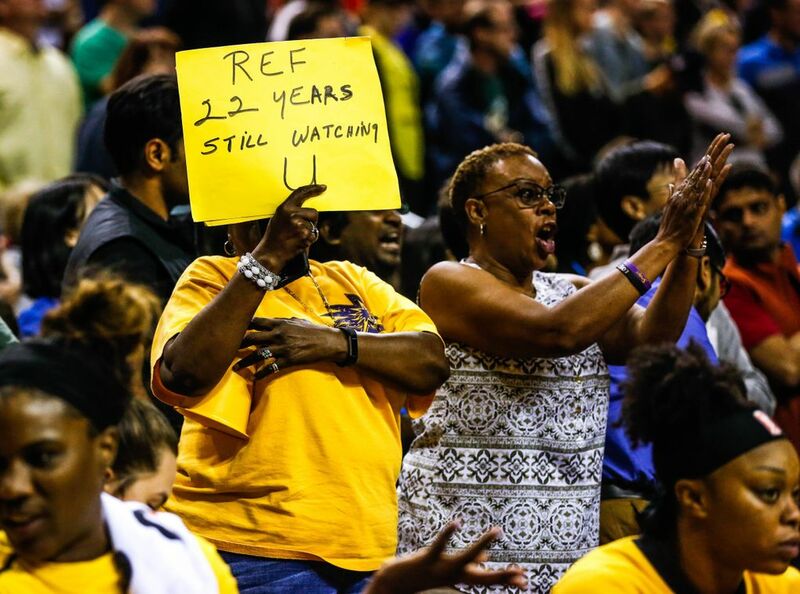 But the team slipped in the fourth and in overtime, when the Sparks forced an additional six turnovers, which they capitalized for six points. Stewart attributed the team’s numerous turnovers to overzealousness. 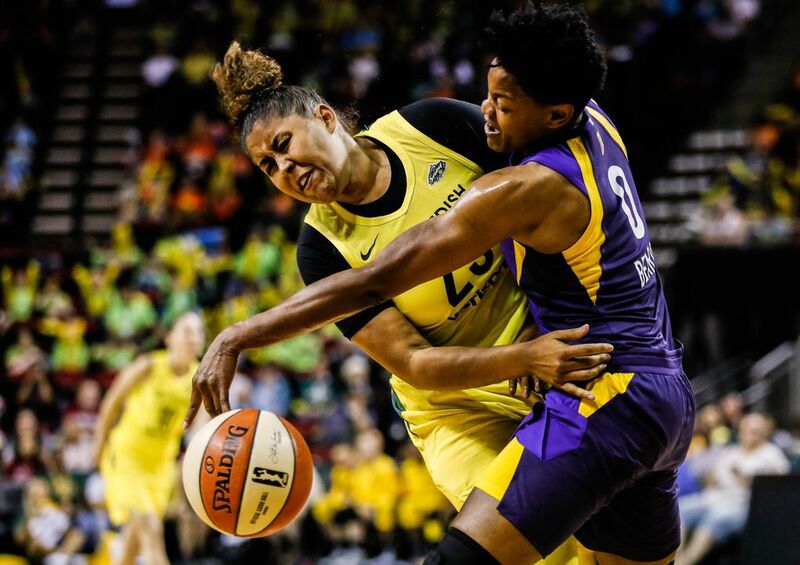 The Sparks’ lock-down defense, the stingiest in the league with 76.7 points allowed a game, also was apparent in the Storm’s inability to hit shots. 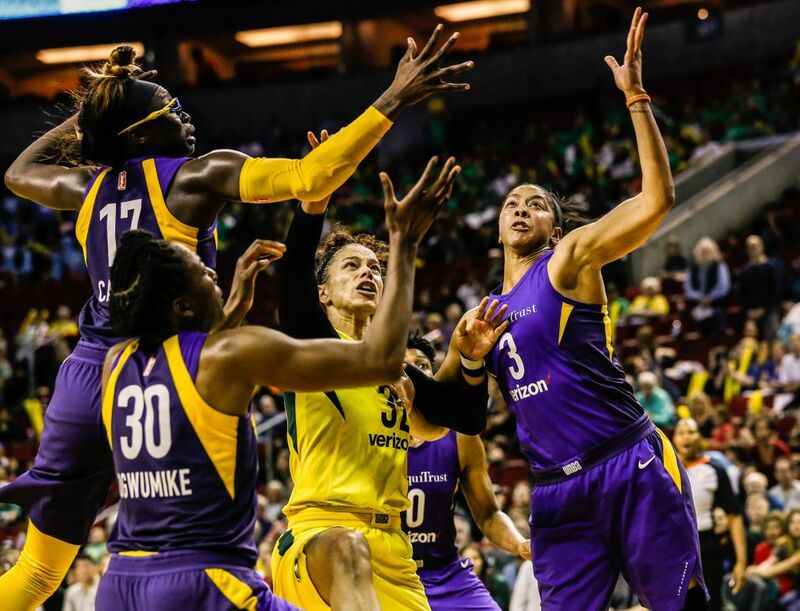 Though the Storm scored 26 points in the third quarter, the Sparks’ defense shut it down in the fourth, holding the Storm to six points. 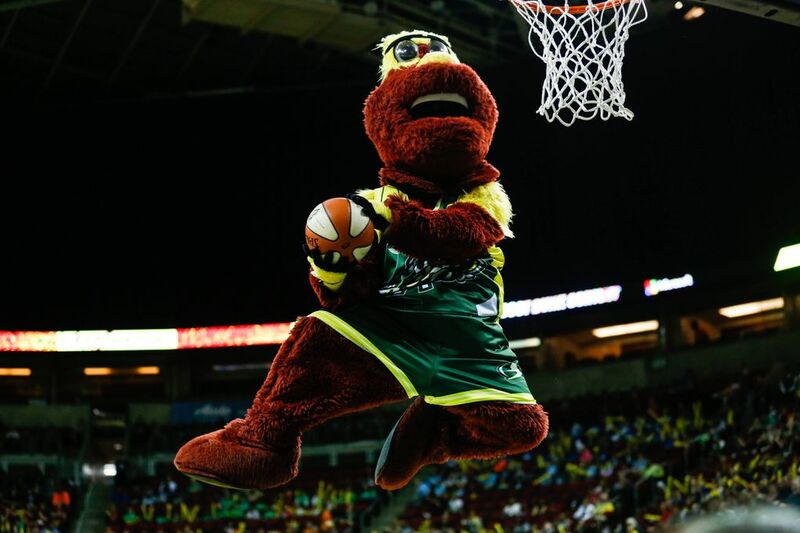 Seattle ultimately scored 66 points in regulation, well under its average of 87.6 before Tuesday. The game, which had nine lead changes and eight ties, still had some bright points for the Storm. 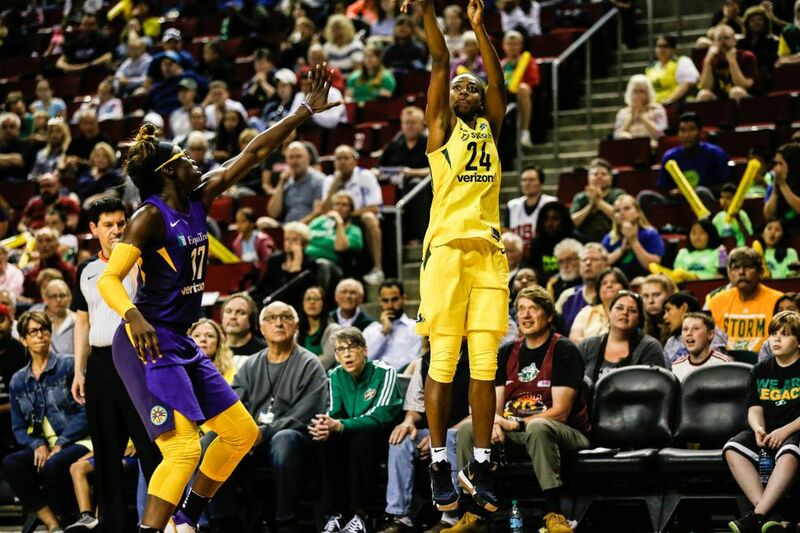 Natasha Howard led the team with 18 points, including five of the Storm’s nine points in overtime to keep Seattle within striking distance. 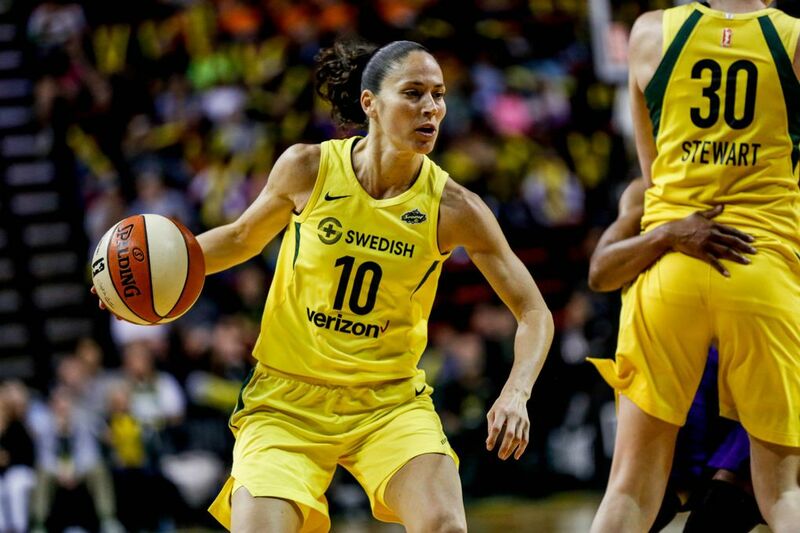 Sue Bird also recorded her third consecutive game with double-digit points, and Stewart’s 14 points and 13 rebounds earned her her fourth double-double of the season. 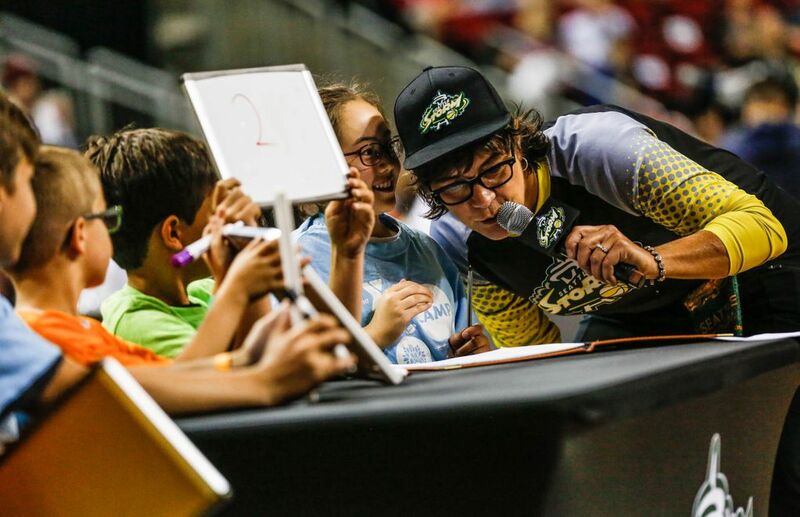 The Sparks went ahead by 10 in the first minute of the second quarter before the Storm clawed back to keep it a two-possession game for the rest of the first half. 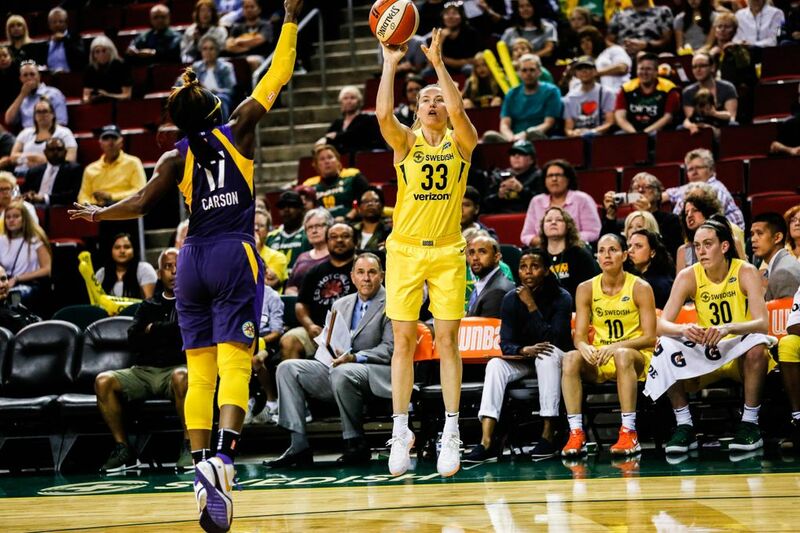 The Storm cut the Sparks’ lead to one twice toward the end of the half — with 3:20 and 55.3 to play — and Seattle stuck around to make it a two-point game, trailing 36-34 at halftime. 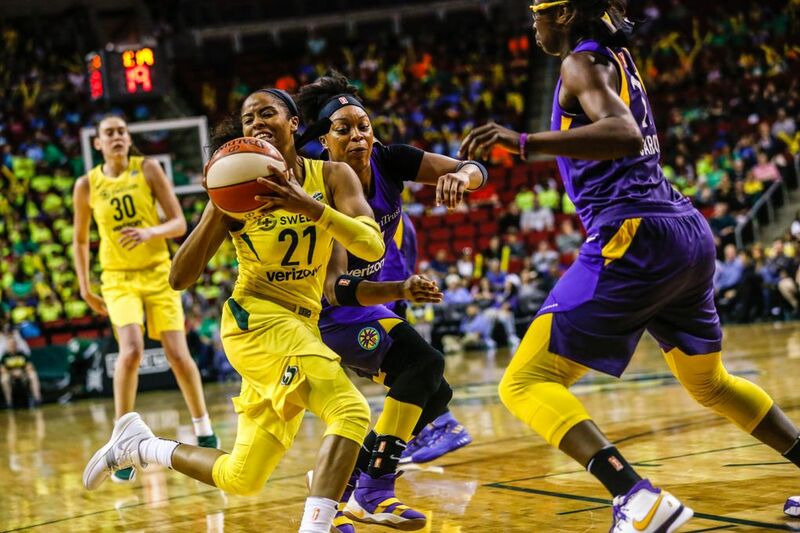 Clark came alive in the third quarter when she scored all of her 12 points, helping the Storm pull ahead by as many as 12 at the 2:47 mark. 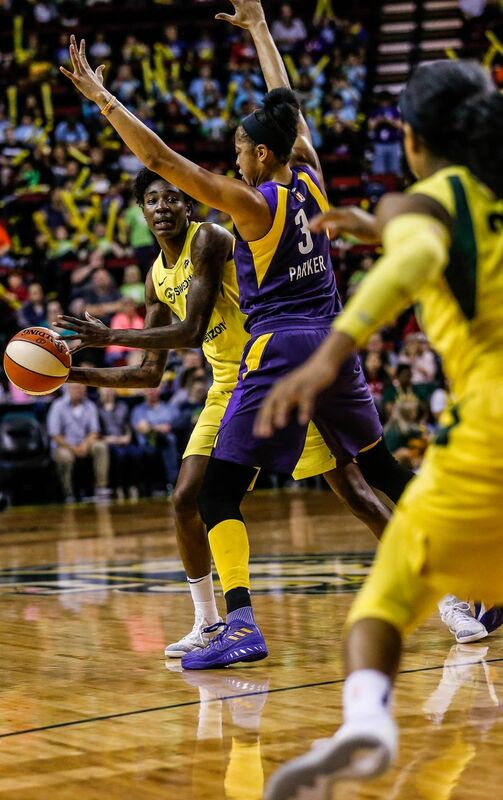 But Candace Parker and Chelsea Gray helped the Sparks climb back in the fourth. Essence Carson chipped in with a season-high 18 points off the bench, and Alana Beard’s jumper tied the game with 1:15 to play. The Sparks had the final shot of regulation, but Parker’s fadeaway was no good. 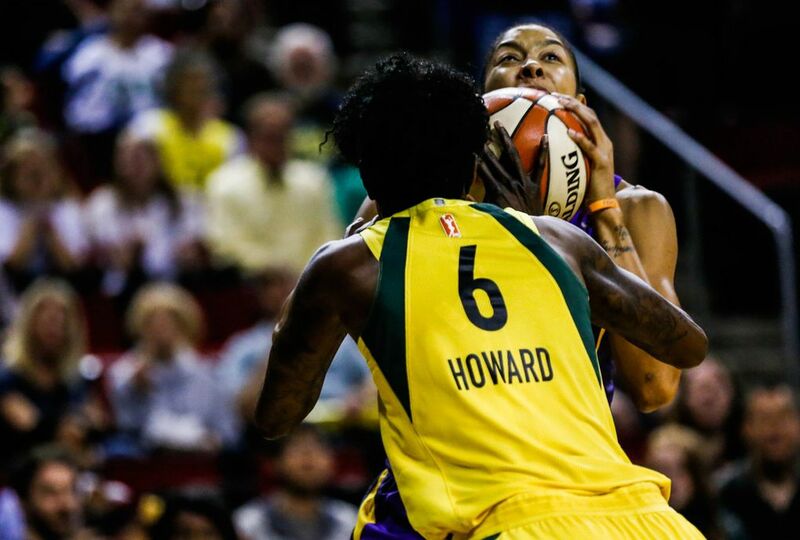 In overtime, Los Angeles pulled ahead by five with just more than a minute left, but Howard was fouled on a layup and converted her free throw for a three-point play. Her defensive rebound on the following play set up the Storm’s final possession of the game. 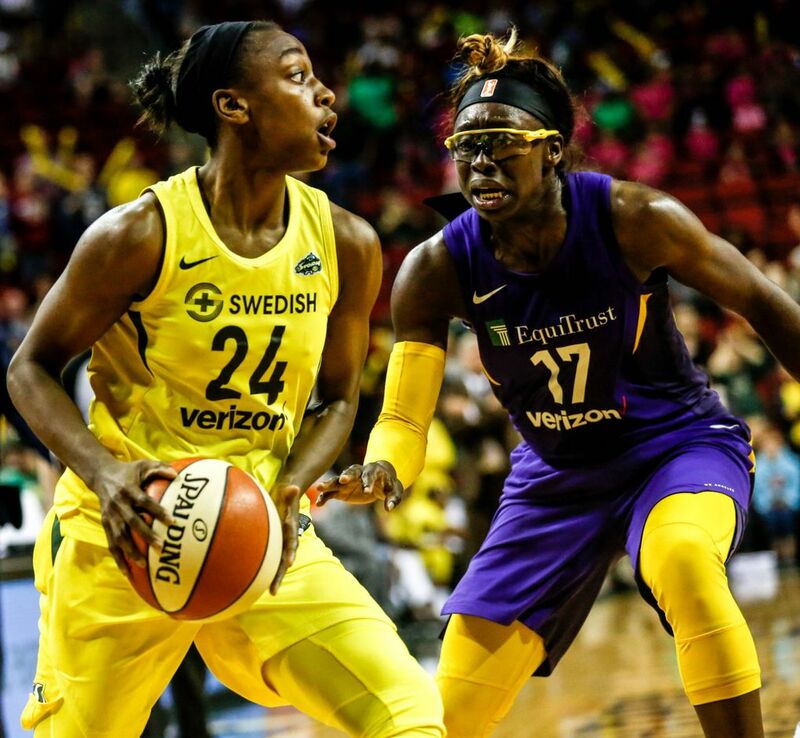 Before embarking on a five-game road trip, the Storm will be back in action at KeyArena this Saturday against the Dallas Wings.